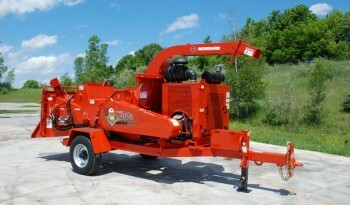 The Beever™ M18R Brush Chipper boasts a huge list of options to customize the machine as well as more standard features than any other chipper in its class. The unit can be outfitted with a 4- or 6-cylinder diesel engine and choice of single axle, tandem axle or single axle dual wheel package. With its large capacity and high-production volume reduction capabilities, the Beever M18R Brush Chipper is perfect for residential tree services, vegetation management, lot and land clearing, maintenance contractors and municipalities. The dual-sided, chambered air impeller system with controllable air flow vents increases chip throwing velocity and easy discharge of light, leafy material. Like all Morbark equipment, the M18R is a long-lasting, durable machine backed by a world-class parts and service support team. Length 21 ft. 2 in. Height 9 ft. 6 in. The TorqMax™ dual feed wheel compression system provides more than 7,500 ft. lbs. of material pulling force. The 65 in. wide x 38 in. high infeed chute with 31 in. wide x 20.5 in. 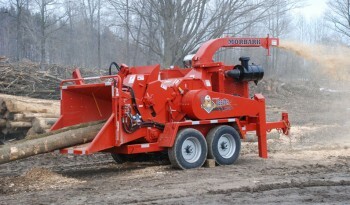 high throat opening allows for easy feeding of a variety of materials and reduces saw labor. 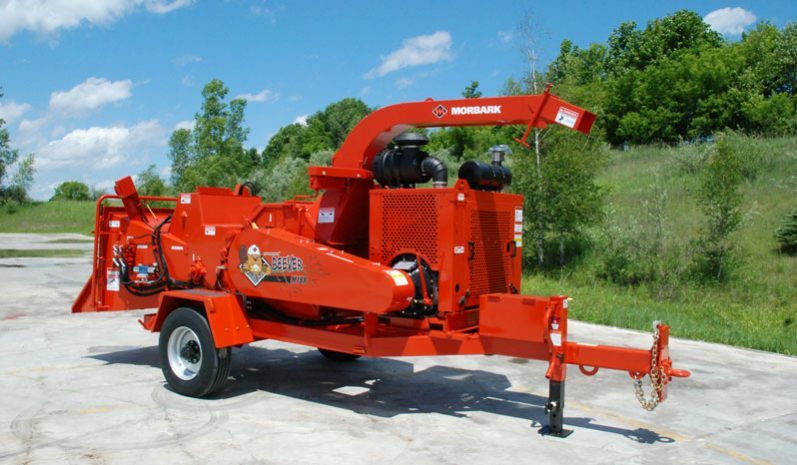 The reversing auto-feed system automatically stops forward feed and briefly backs material away from the drum for optimum engine performance while chipping. The Variable Force™ hydraulic down pressure system eliminates the use of springs and creates up to 10,000 lbs. of perpetual down pressure.